What is stopping you from making successful trades? Many people sign up to a trade room or trading education after being motivated by their published results. However, they end up realizing most traders can’t duplicate the same results. Simon Jousef, CEO and Head Trader of The Trader Institute (TTI) aims to change all of this. Join Simon as he demonstrates the revolutionary approach to trading education offered by The Trader Institute! Learn a new approach to using small stops. Discover the TTI method of calculating profit targets. Trade with more confidence, accuracy, and consistency. All attendees will receive a free 1 week trial to The Trader Institute. Additional savings on annual membership will be discussed during the event! 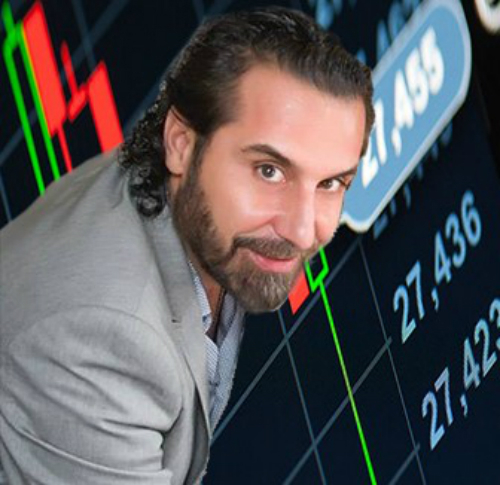 Simon Jousef, "The Professor", is a Professional Trader and Trading Educator. Mr. Jousef, holds a B.Sc. in Physics. After intense research, Simon discovered a hidden phenomenon within the markets’ price action or volume. He witnessed a formula of numbers that keeps attracting the price back to them, a phenomenon he now calls trading magnets. Similar to black holes in space, the brackets pull or magnetize the price back to its origin, to the tick. With this new found information, Simon entered live trading competitions, and in June of 2006, he was listed as one of The World’s Top 5 Forex Traders. With the help of programmers, he developed an automated indicator called Trading Magnet, which was initially designed for futures markets such as Crude, Gold, and Indices but it works equally as well with stocks, options, and spot forex markets. Today, he offers top-down analysis every morning.